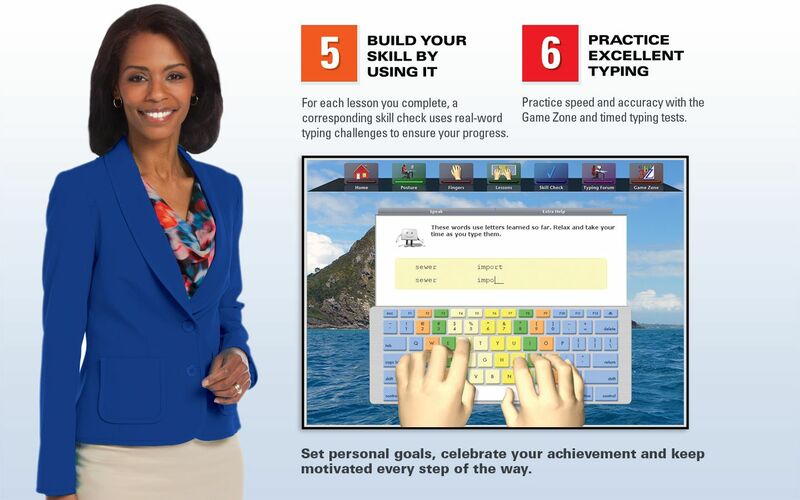 Type better than ever with the all-new Personal Edition of Mavis Beacon Teaches typing Powered by UltraKey! 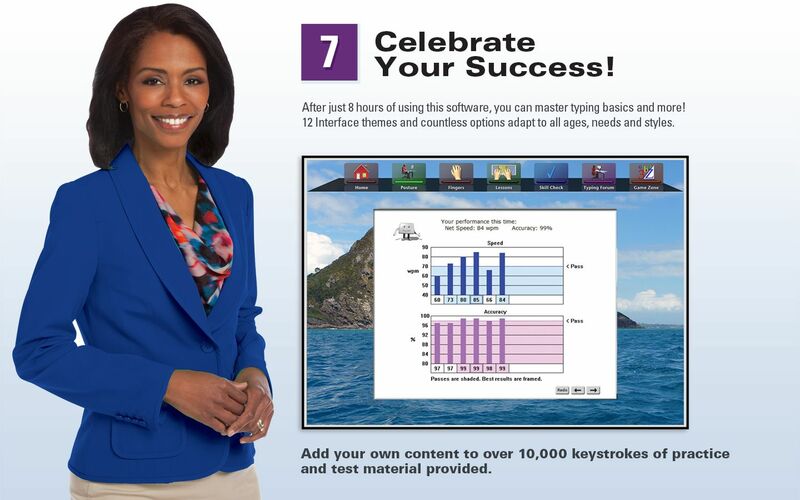 Success comes easy with our latest award-winning software program. It's educational and fun! Discover the most efficient approach to learning and mastering typing fundmentals. 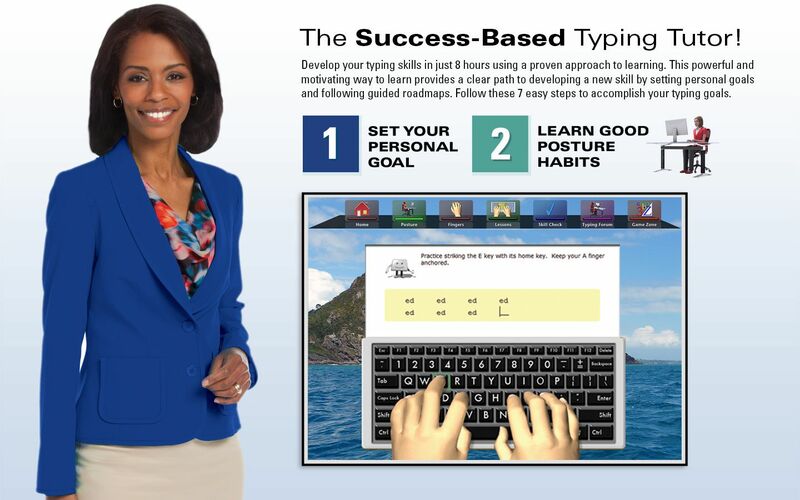 If you want to improve typing skills quickly and easily, you can rely on Mavis Beacon. The latest version of the Personal Edition is packed with features tailored for your individual success. 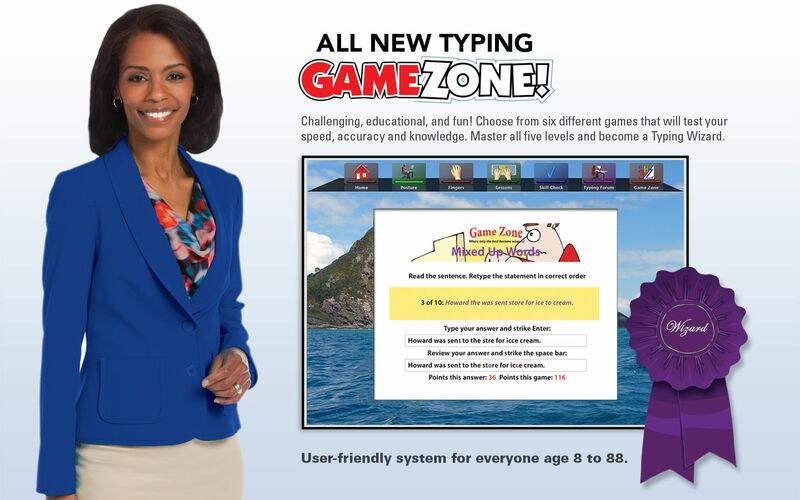 Practice Excellent TypingPractice speed and accuracy with the Game Zone and timed typing tests. Internet connection is required (Broadband Recommended)². ¹Administrator privileges are required to properly install the program on Windows Vista®, Windows® 7, Windows® 8, Windows® 10, and Mac® OS X. ²User is responsible for all Internet access fees and phone charges. *Minimum full display configuration is 1366x768. *High quality audio system or head set is recommended.